Overall 15 surgeries scored a satisfaction rating of 95% or higher (16%),which compares against 24 (26%) for 2009/10, thus there has been a deterioration in the level of patient satisfaction at the quality of GP surgery services over the first year of the Coalition Government. Darnall Community Health continues to languish firmly at the bottom of Sheffield's 92 GP surgeries with a continuing wide gap against other GP surgeries as other bottom ranking surgeries improve, DCH showed little improvement on the 2009-10 GP Survey (68%). Other notable concern is the fall in the level of patient satisfaction at Tinsley Surgery which has literally dropped like a stone from 89% for 2009-10 to 80% for 2010-11. The following map shows Sheffield's Top 15 and Bottom 15 GP surgeries as ranked by Sheffield patients. The map suggests that patients of some surgeries have the opportunity to change to nearby better performing GP surgeries, though the old boys network will probably prevent you from doing so. The core at the heart of Coalition Government's NHS reforms is to scrap ALL NHS Primary Care Trusts (PCT's) to be replaced by competing GP Consortia's to directly manage patient treatment commissioning (the process could take 2 years to implement, subject to revisions). 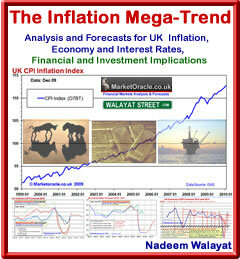 Whilst spending soared on the NHS, productivity fell by an average of 1% per year, as illustrated by a Labour government commissioned report (McKinsey) during 2009 that called for a 10% cut in the NHS workforce which was buried ahead of the 2010 general election and has only recently been published by the new coalition government. 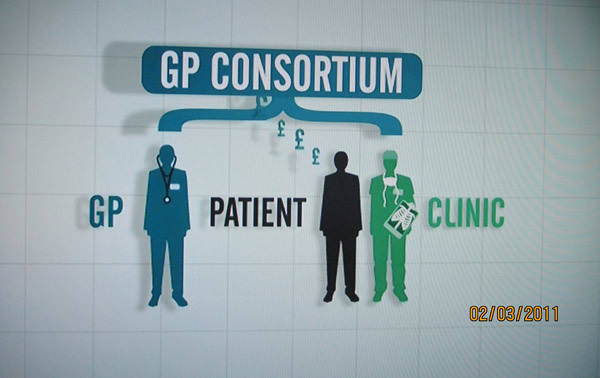 Earlier in the year, a Channel 4 News investigation charged NHS Doctors with the subversion of the the coalitions governments NHS reforms to result in NHS doctors pocketing all of the cash saved as a consequence of the NHS reforms, which matches my own analysis of a year earlier that the Coalition Governments proposed reforms were fatally flawed in that they allowed GP's to profit from patient care. The last Labour governments solution towards badly performing GP surgeries was to introduce Super Surgeries or Poly Clinics. 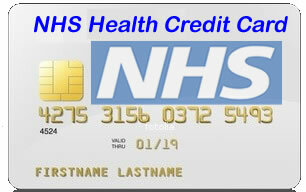 Sheffield saw its own GP Polyclinic or Super Surgery open in April 2009, operated by OneMedicare that aimed to fill the gap in the wide disparity in quality of GP health care throughout the city by operating a 7 days a week service from 8am to 10pm. The UK GP Survey results for 2009-10 showed that 95% of registered patients where satisfied at the overall level of care received, ranking the surgery at a respectable 18th out of 92. However, for whatever reasons patient satisfaction has taken a nosedive to now stand at 89% placing the surgery at 66th out of 92, which is a pretty severe change over just 12 months. Despite falling to 89%, the surgery still ranks better than Sheffield's bottom ranking GP surgeries so still offers an alternative to patients of those surgeries. It will be interesting to see if this private for profit company can offer a better service going forward in terms of patient satisfaction above 95%, or if it will continue to haemorrhage patient feedback due to lack of resources assigned to the increasing patient list, especially there still is no real competition for patients between Sheffield's GP surgeries. 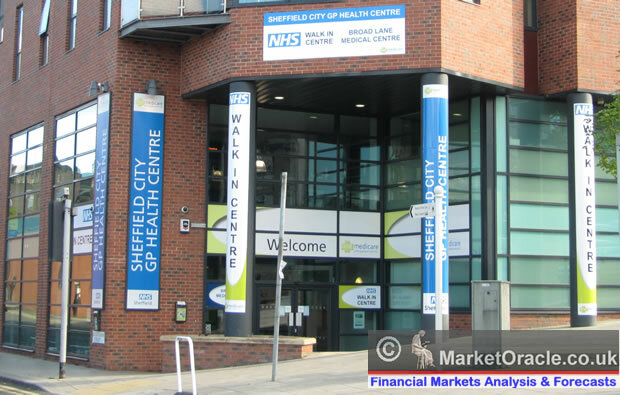 The Sheffield City GP Centre is situated in the centre of Sheffield on the corner of Rockingham Street and Broad Lane, which purports to allow any member of the public to walk in and see a doctor or nurse with-in an hour without the need to be registered. The good news is that Sundays are free all day, so perhaps centre staff should allow for expectations for greater demand during Sundays. A full review of the health centre will follow over the coming weeks, from the initial process of registering as a patient to actual experience of utilising services, to aid those that are contemplating making the shift from a bottom ranking surgery, especially as the drop in patient overall satisfaction from has now made this a more difficult decision.